The style of writing professional letters has to be very formal and professional with no use of decorative fonts and writing style. 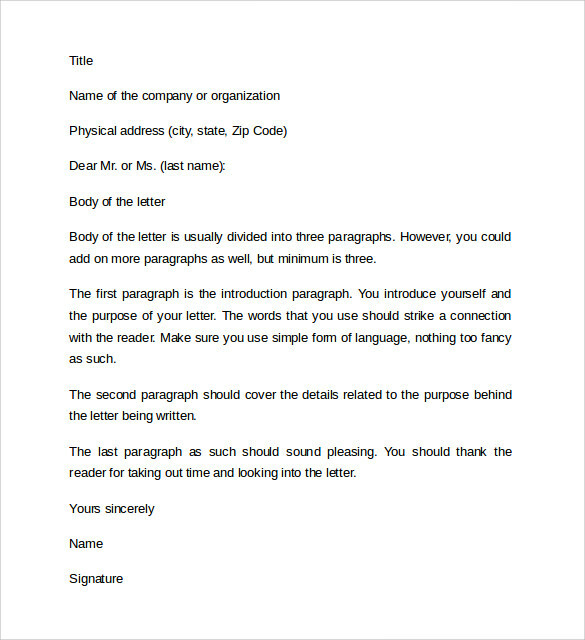 Formal addressing to the person whom it is being directed to, mention the date on top of the letter and writing has to be on a left indented format. Remember not to write your address again if you are writing on the letterhead. 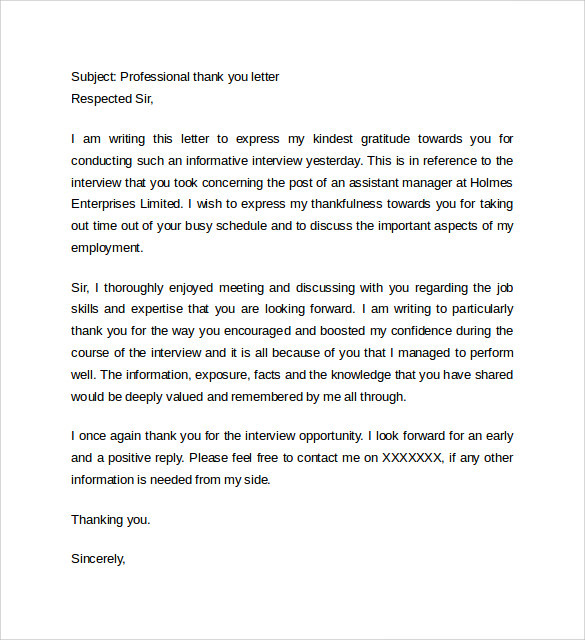 These sample Professional Thank You Letters format template mentioned below are of great help in your career. This is a format which is going to help you in writing a letter when you are applying for any vaccant position. Here in this format there is a scope for you to say about your abilities making you the right candidate for the organization. You can also send your experience credentials attached with the letter. If you are looking for a help to assist you in writing letters in order to promote your product or services and enhance your business, here you can take help of this format. When you are bidding your co worker a farewell, a professional farewell letter written in this template is more than a gift to treasure for life. A farewell letter written in this format with beautiful selection of words is sure to bring tears to the receiver’s eyes. 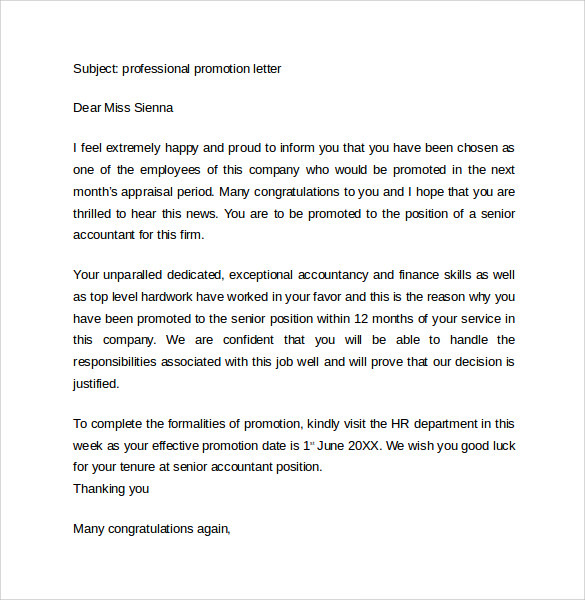 Getting promoted is itself a reward and moreover in a format designed with cheerful and motivating words will definitely enhance your working capacity in the coming days. This letter format will have the other details pertaining to financial benefits duly mentioned. A letter written in such professional approach is sure to add star to your career graph. 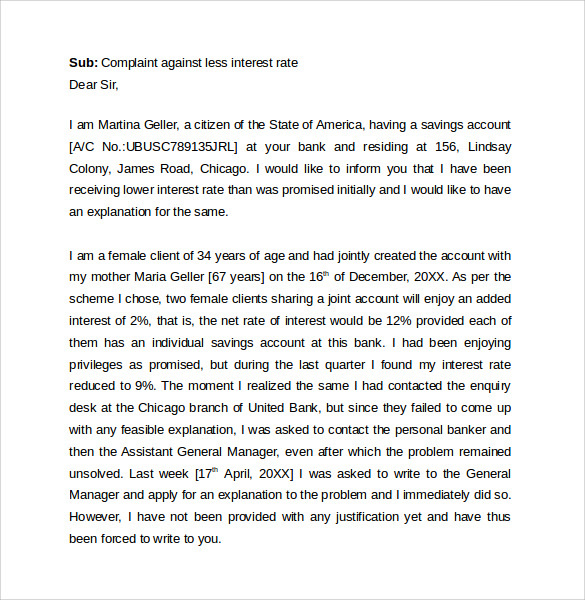 A complaint letter in your work place written in a professional format is very obvious to get noted and acted upon with due sincerity. When you are complaining about a problem, getting into heated talks is not going to solve the matter rather marring the situation. So, take help of this format to write a complaint and simplify the process of solution. After you have attended an interview for a position vacant, showing the gesture of writing a thank you letter is always a very professional approach. 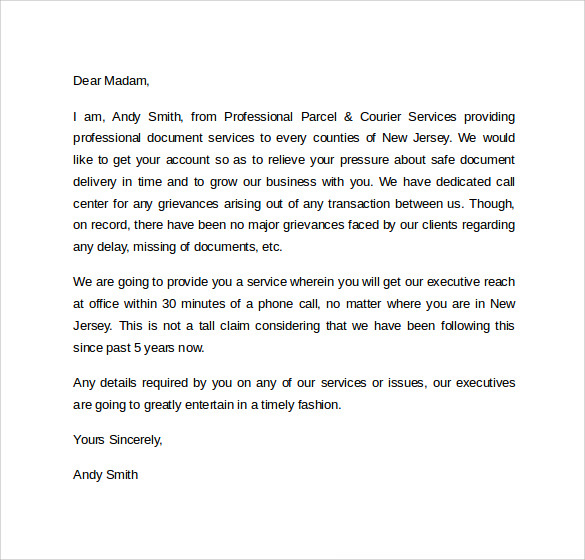 Moreover the letter when written in a format that is mentioned in our collection you may rest assured that it is going to create a long lasting and positive impression to the receiver. Mistakes are common human nature. When you have committed any mistake in your business it is better to admit and seek apology straightaway. For the sake of the goodwill of your business it is a foolish deal not to admit the mistake. 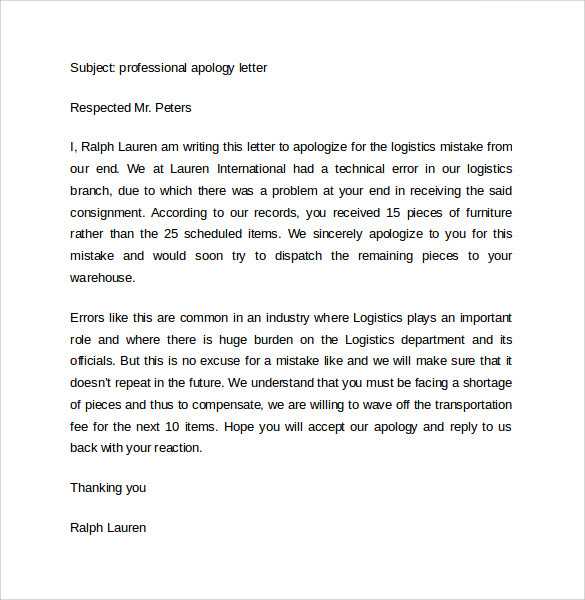 Apologize humbly to your priceless customers with this sample professional letter format template and regain their age old faith on you. Rise and fall is an inevitable happening in a professional life and so is resigning from a job. While leaving a job you may or may not have pleasant experience always but your letter of resignation should never reflect that. 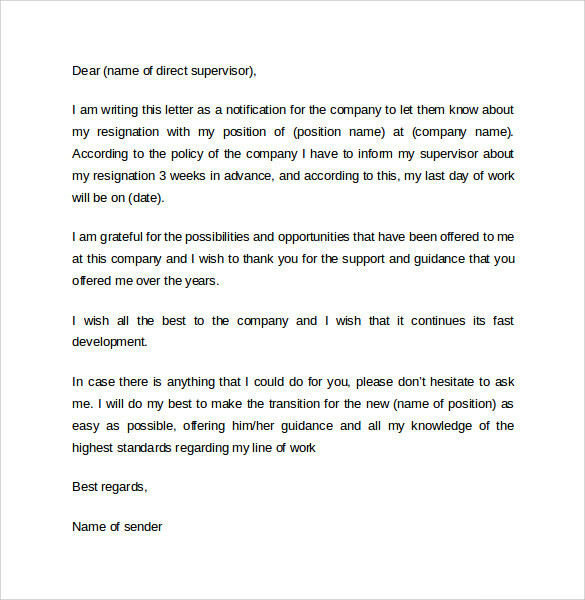 Letter of resignation written in a professional manner in this format is sure to put a question in front of your employer as what they are losing. One of your prospective customers has attended a fair or exhibition where your products or services were liked by him and had promised to try them once. 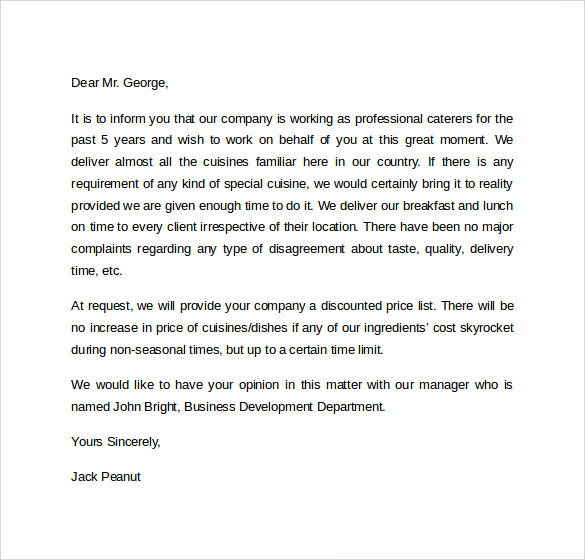 Here we have a letter template ready for you to use in reminding the person about you and your product or service. 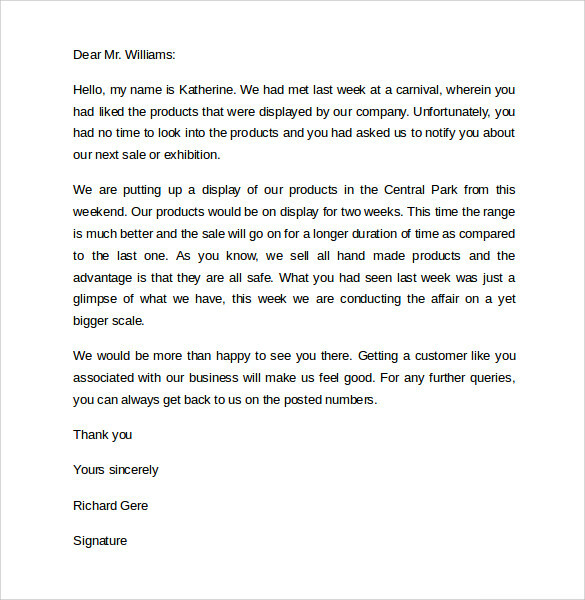 This is a format of professional letter which you may use to get business by introducing yourself to your prospective customer. You being a document supplier will get necessary guidance about how to advertise yourself in this professional letter format. Just download and enter your details to save on time. 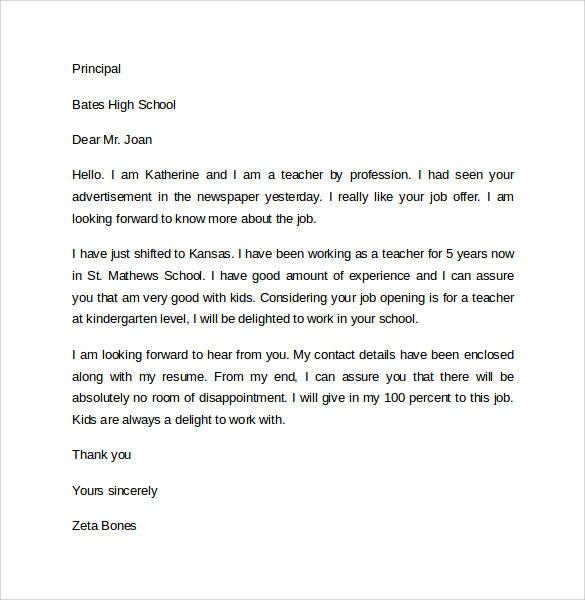 Concentrate on your professional advancement and leave the job of sample professional letter format template support on us and see your career graph reaching heights.